RGB full color LED Module KY-009 for Arduino, emits a range of colors by mixing red, green and blue. The amount of each primary color is adjusted using PWM. 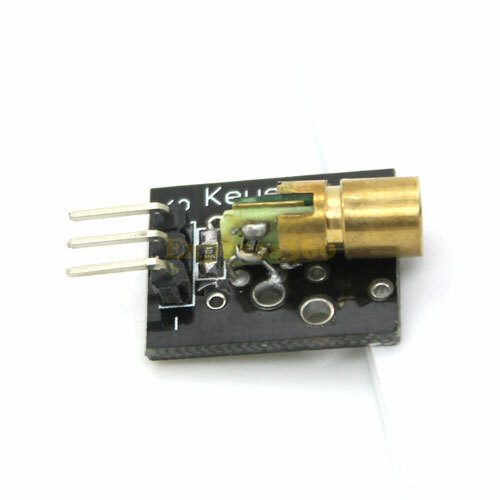 The KY-009 RGB Full Color LED SMD Module consists of a 5050 SMD LED, use with limiting resistors to prevent burnout. 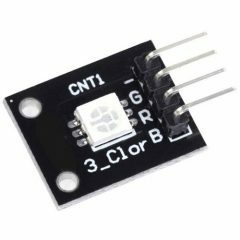 Compatible with popular electronics platforms like Arduino, Raspberry Pi and ESP8266. 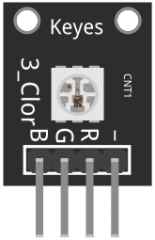 You need to use resistors to prevent burnout, check the 5050 LED SMD Datasheet on the downloads section for more info. The following Arduino sketch will cycle through various colors by changing the PWM value on each of the three primary colors. Fritzing Part: KY-009 RGB full color LED SMD module. 5050 LED SMD Datasheet by Wayjun Technology. I apologize, but better control I saw on sale there are models with the right RGB series at this point necessary to determine which module is using. Do not consider my previous message! HI great job, but I wanted indicate that the pins are not in the right order and not -RGB but -GRB. You can correct the component?